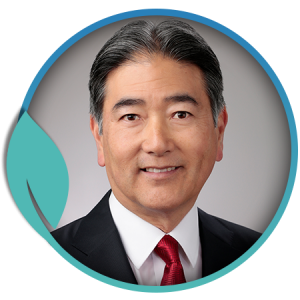 I’m Dr. Russell G. Kuwamoto, the owner of The Kuwamoto Clinic. Chiropractic care works, and I know it from personal experience. As a younger man, I experienced back pain and I was referred to a chiropractor. The treatment not only alleviated the discomfort in my back, but also had the side effect of permanently relieving my allergy symptoms. The experience was transformative, and that’s why, since 1981, I’ve been pleased to offer a wide range of chiropractic services to my clients in the Fresno area. After attending UCLA to study Biology I received a Doctor of Chiropractic degree from Cleveland Chiropractic College in 1981. This led me to work with the International Sportsmedicine Institute of Los Angeles, which was among the first multi-disciplinary healthcare facilities in the nation. At the Institute a team of medical doctors, chiropractors, podiatrists, and physical therapists came together to serve the needs of world class and professional athletes from all over the world, as well as many Hollywood celebrities and business leaders. This experience ingrained in me an understanding of the benefits of a multi-disciplinary approach to healthcare which I continue to believe in today. Additionally, I have earned certifications as an Industrial Disability Evaluator (1993, 1997), as a Qualified Medical Evaluator appointed by the State of State of California Industrial Medical Council (1997-2007), and an advanced certification in the diagnosis and management of Whiplash and Brain Traumatology from the Spine Research Institute of San Diego. My practice offers general chiropractic services with a focus on serious back pain caused by injuries, such as auto accidents. I also offer a range of spinal care services, such as adjustments, full manipulation of the spine, and therapy modalities. Along with decades of experience, we have an on-site x-ray machine used for accurate diagnoses. Additionally, we’re one of the only chiropractic offices in the Fresno area to utilize a DRX 9000 spine decompression machine as a nonsurgical approach for treating disc hernias and disc compression. Regular chiropractic treatments can be an excellent option for those who have had difficulty with traditional methods. My goal is to help all my clients live their lives pain-free and with a full range of movement. To learn how my staff and I, as a car accident chiropractor, can help you, contact us online or by phone today.